The NHLPA will be conducting its Executive Board Meetings on June 25, 26, 27, at the Peninsula Hotel in Chicago. TORONTO (June 22, 2012) – The National Hockey League Players’ Association (NHLPA) will be conducting its Executive Board Meetings on June 25, 26, 27, at the Peninsula Hotel in Chicago. 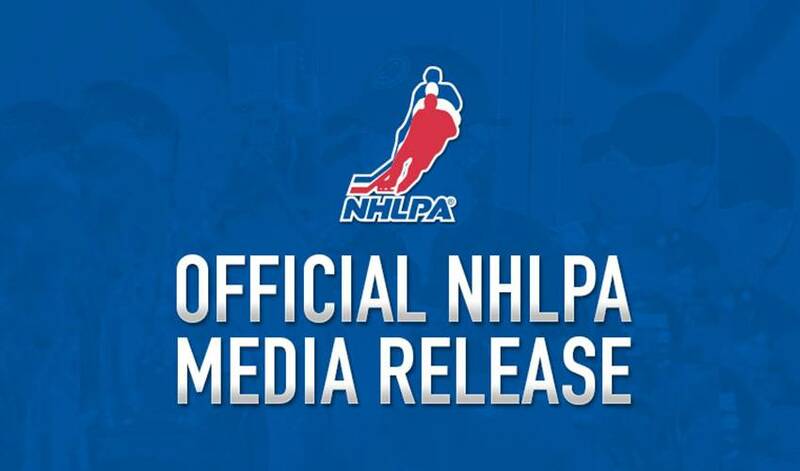 The Executive Board Meetings will be attended by approximately 50 NHLPA Members. The three-day meetings will be focused on NHLPA business matters, including the upcoming collective bargaining negotiations. For media who are unable to attend, the media availability on Wednesday afternoon will be streamed via web conference, which can be found by visiting www.nhlpa.com/media (link will be active on Monday for pre-registration). Media will also be able to ask questions on the web conference. Note: B-roll footage from the meetings will be accessible to media. For media attending, there are unfortunately no hotel rooms available at a preferred media rate. For media who are planning to attend, please RSVP to Jonathan Weatherdon.